Everybody get on the floor, everybody walk the Vocaloid! 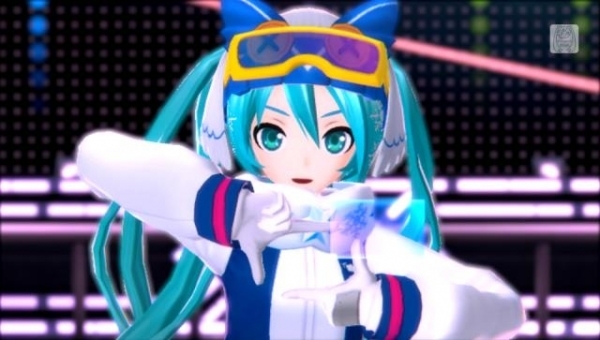 If you've been foaming at the mouth for more Hatsune Miku like I have ever since hearing about the upcoming Hatsune Miku: Project Diva X game releasing for PS vita and PS4 on March 24, you're going to love this news. Sega is releasing a PS Vita demo for the game on the same day, meaning next week if you can't quite import the game yet and have to wait for it, you can still download the game with your Japanese PSN account (I've got one!) and play it that way. The demo will come with a tutorial and three rhythm game songs: "Ai no Uta," "Strangers," and "LOL -lots of laugh-." There's also a slew of DLC that will be available when the game launches, so there's plenty to look forward to, Miku fans! Check out the new set of screenshots above and let's get ready for another Miku rhythm party. I'm trying to learn Japanese for this kind of stuff. Who wants to join me?